Ever wish you could own an Ottoman that turns into a mattress? Well, now you can. Say hello to the new Ooroo Ottoman mattress bed. Ooroo is known for their storage friendly / comfortable bedding products and this Ottoman bed is their newest creation. The Ooroo Ottoman bed is one of the most unique mattress products I have tested. The Ooroo mattress is built from a tri-fold 4.5″ poly foam (1.5 lbs density). The fabric cover of the mattress itself is a stretch knit quilted 100% polyester. The Ottoman cover is included with the mattress. 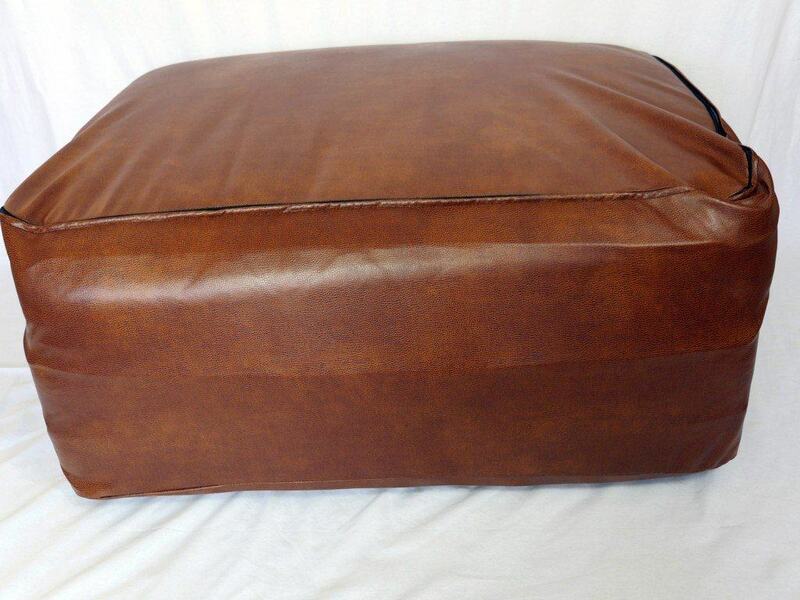 The Ottoman cover is built from a blend of 80% polyester and 20% polyurethane. The backing is built from 100% recycled leather. There were a few different factors I took into account when determining the overall durability of the Ooroo Ottoman bed. First, I examined the cover. The cover is used to give the appearance of an Ottoman when the bed is folded up. When folded and with the cover on, the Ooroo mattress is a lean fashionable piece of furniture that looks like it belongs in most any bedroom or living room setting. When folded you can use it as a side table, Ottoman, window seat, or whatever else you prefer. Overall, I found the cover to be quite nice. Stitching was smooth all the way around. The zipper worked great and I didn’t experience any sort of snag while zipping it up or taking it off. With that said, I did have a little bit of trouble actually getting the bed into the cover. In order to give the Otoman a sleek look, Ooroo designed the cover to fit very tightly, which can make for a tough time putting the cover on, especially your first time. You’ll want to make sure the cover is aligned before putting it on, otherwise it will appear off center even if you do manage to get it to zip up. The Ooroo mattress sits at a 7.5 out of 10 on the firmness scale, where 10 is the most firm. In order to function as a reasonably sized Ottoman the individual layers of the Ooroo needed to be fairly thin. For this review I tested the Twin XL size. When unfolded the mattress is 39″ x 80″ and is 4.5″ thick. When folded in Ottoman mode the Ottoman is 16″ x 28″ x 39″. When you first lie down on the Ooroo mattress the initial feel is one of support and strong firmness. At 4″ thick, there isn’t a whole lot of room between the sleeper and the foundation that the mattress is sitting on. For my review I tested the mattress directly on the floor, since this is the foundation you’re most likely to be using. There is a slight degree of padding in the cover, which does provide a little bit of added pressure relief. However, for sleepers that prefer a soft or medium mattress they are likely to find this too firm. When I was testing and reviewed the Ooroo I found it difficult to frame this mattress in my own mind. On one hand, it’s a fully functional foam mattress, one the other it’s a fully functional Ottoman, and as an added extra you have the space saving and multi-use utility of the design at large. Is the Ooroo mattress Ottoman a replacement to a regular mattress? I don’t think so. However, I don’t think it’s really fair to compare Ooroo to other foam mattresses. The Ooroo mattress works because it has multi-use utility beyond just a mattress. In the smaller sizes the Ooroo functions as a lightweight and easy to move Ottoman, which I’ve greatly enjoyed in my office both a table, side seat, and foot stool. If you compare the Ooroo to other travel / storage bed options…air beds, futons, pull out sofa, etc. I think it really matches up much better. The design is simple, but it’s still better than most other storage bed options. If you’re afraid it’s going to be too firm you can go with one of the Ooroo premium Ottoman mattress options for a little more softness. The Ooroo mattress can make a great stowaway bed for guests or other situations where you need an extra bed. Who is the Ooroo mattress best for? The Ooroo Ottoman bed is different, that’s for sure. But I have to say, it is quite practical. I like the multi-use utility and I especially love that it’s a space saver. Want a utility Ottoman – Ottoman + mattress = awesome. If you’re looking for a stylish and lightweight Ottoman, but want the added benefits of having an easy to store mattress, it’s hard to go wrong. Want space saving – yet again, the utility design of the Ooroo rues the day. The tri-fold design means it’s easy to store and you won’t have to worry about your guests being stuck on the couch or the floor. Want a travel mattress – if you find that you constantly are moving or you do a lot of road traveling, having a nicer mattress option than an air mattress is a big plus. The Ottoman may be a little large depending on your travel arrangements, but if you can swing the size it’s a good alternative to create a better sleep. Ooroo also makes a pet bed that Sleepopolis recently tested, in addition to their beach bed and mattress Ottoman. 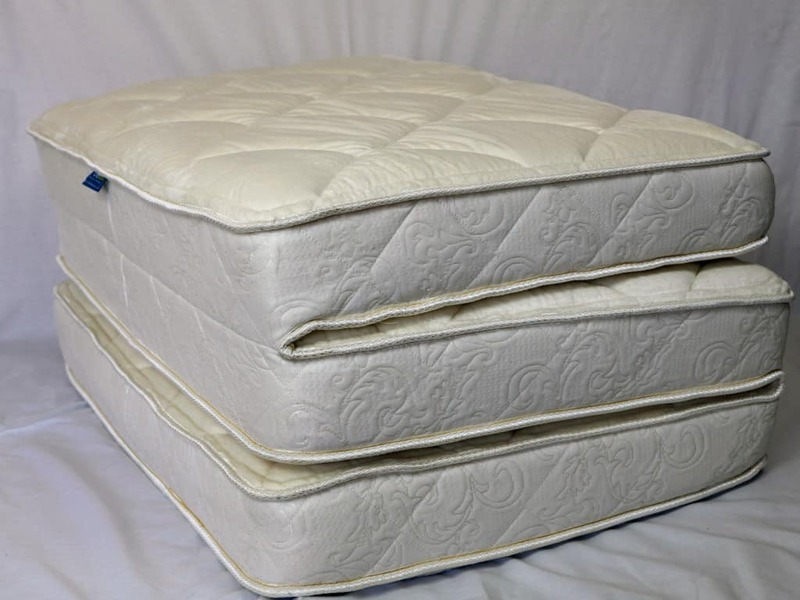 For more information or to buy on the Ooroo mattress Ottoman visit Ooroo.com. Has ooroo begun selling again? If so, where? We could really use one in our tiny house. We just bought the standard twin ottoman for a NY city apartment and it is worthless junk. 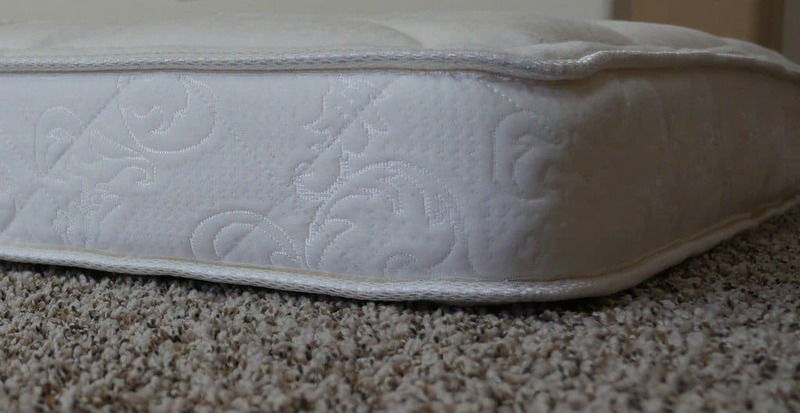 The folded mattress is only about 9 inches high (not the 17 inches listed on the website) and is too short to be an ottoman and does NOT FIT the cover which is too large. To make matters worse…the company has been completely unresponsive…no phone number to call and no reply to any emails sent to rectify. Do NOT buy this product despite the positive review here as the current product (purchased early November 2016) is nothing like those advertised on the site. Wow, this is indeed very alarming, Ellen. Thank you very much for bringing this to my attention. It sounds like there are serious problems with their manufacturing. What you’ve described is nothing like the Ottoman bed I received. If you would like, I’d like to help you get in touch with the company and hopefully get your money back.